I have always loved the sea, as a child growing up in the Middle East, I would spend every available moment there, windsurfing, snorkelling and fishing. That place was polluted by oil, and in the 80’s it wasn’t uncommon to come home covered in tar, which would be promptly cleaned off by our folks using fly spray in the bath! As I got older, I realised the gravity of this situation and wanted nothing more than to protect the life giving ocean. As a young man, moving to New Zealand, I knew that all I wanted was to work on the water, so as soon as I arrived in Motueka I got a job working for a local water taxi company. I spent every summer’s day showing visitors the wonderful Abel Tasman, and on my days off I would go back there and play. I took this one step further and decided to pursue a career in Marine Biology, which ‘Opened my Eyes’ to so many things. So our family started up Abel Tasman EcoTours in 2013, using our knowledge to give people an in depth experience of our environment, and a real insight into the amazing Abel Tasman community. As well as visitors, we host school kids, some of which have never been on a boat before. It is magic to give them that gift and connect them to the sea. We also started doing conservation work, supporting the Abel Tasman Birdsong Trust and Project Janszoon in protecting the national park. However I realised that there was very little care being taken of the sea. I started doing presentations to the Abel Tasman staff, from many different companies and organised dive and beach cleanups. On our first dive cleanup we got 750 kgs of rubbish off the seafloor in the so-called ‘pristine’ Anchorage Bay. This was quite shocking to us, that people should have such a disregard for the ocean. But more importantly it connected all of the participants and created stronger bonds between us. This is very important and one of the reasons we founded Tasman Bay Guardians. During this time I also teamed up with Megan Wilson of Experiencing Marine Reserves and she invited me up to the Mountains to Sea Wananga in Wellington, it was amazing to meet so many people of a like mind, and inspired us to push forward. We thank Mountains to Sea Trust for supporting us in our work and trusting us to deliver their Experiencing Marine Reserves and Whitebait Connection education programmes. We also thanks all of our sponsors who have helped us make this possible. 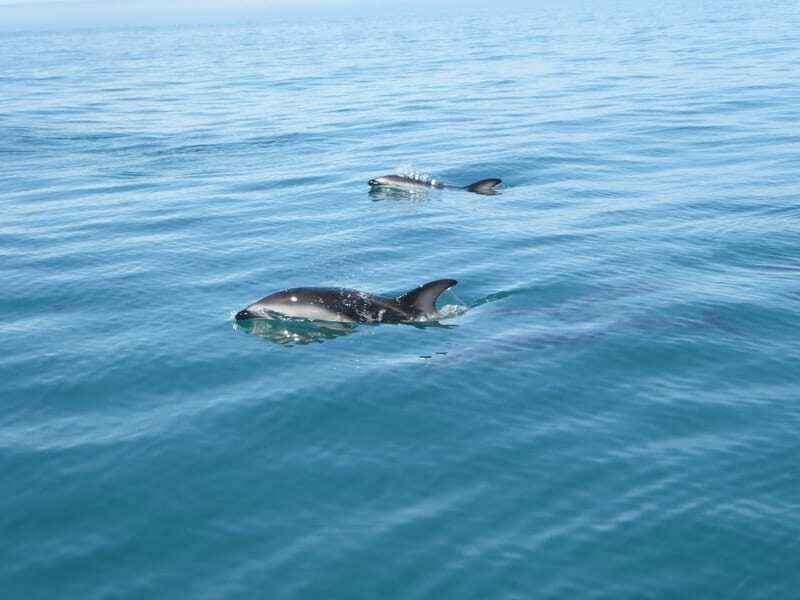 In November 2016 I organised a presentation for the Abel Tasman Community in conjunction with Gemma McGrath to promote her work on Hector’s Dolphins, we realised at that meeting that we needed to form a group to help protect Te Tai Aorere / Tasman Bay. Luckily I’d already thought of a name for us! So that following winter, I started work on our strategy, connecting with all sorts of marine stakeholders. We formulated a plan, got a trust board sorted and started our Tasman Bay Guardians work. We look forward to seeing how are work can positively impact the health of the bays and the wider Te tau ihu community. Kia ora Koutou! 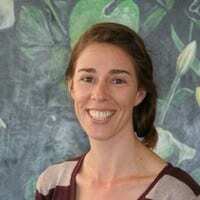 I am the Tasman Bay’s coordinator for the Whitebait connection program, secretary and co-manager of the Tasman Bay Guardians Trust. I have a Bachelor of Health Science majoring in environmental monitoring and have co-directed Abel Taman Eco Tours for the last 5 years. Our business motto is ‘Open Your Eyes’, and that is equally relevant to the Whitebait connection programme, where we aim to get the community connected to their freshwater ecosystems and passionate about habitat protection. Being born in Motueka I have herenga to Motueka river and its tributaries. I hope to be and foster other to be kaitiaki of this beautiful area. I joined WBC in 2018. 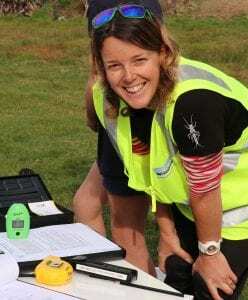 My other roles are – as a walking guide in the inland Abel Tasman National Park for Abel Tasman Eco Tours and as a DOC biodiversity ranger with Project Janszoon education, also in the Abel Tasman National Park. I studied Parks, Recreation and Tourism Management at Lincoln University, have a diploma in secondary school teaching and have taught Outdoor Education, PE, Health and Science at Motueka High School. I love education outside the classroom and I am excited to see how much the kids love learning about the WBC programme. I have always loved freshwater and sea water and you will always find me near it, in it or under it. Since 1990 I have white water rafted, kayaked my waka, snorkeled and swum many rivers in Aotearoa and overseas for work, adrenalin and adventure. My first employment in Environmental Education was coordinating Conservation Corps at Whenua Iti Outdoor Pursuit Centre from 1992 – 1996. Students surveyed Whio ducks in Kahurangi National Park, planted natives at the Motueka Kumaras, removed old man’s beard and rubbish from rivers and low land native forests along the Motueka Awa. From 2001 until 2006 I owned and operated a business called Motueka Inflatable River Kayaks, which ran eco adventure kayaks trips on the Motueka Awa. Following this I headed to the South Island to train as a Primary School Teacher finishing in 2011. My dream was to get students and local community working together as Kaitaiki alongside professionals to monitor freshwater and marine waterways in their own backyard. I have always had a love for Te Moana. I value any time spent in or on the sea whether swimming, snorkelling or paddling waka.I believe that connecting people with their local marine environment will encourage them to become kaitiaki (guardians) and lead to its protection for the future. My first taste of environmental education was back in 1990 where as an enthusiastic member of GreenPeace I organised a beach clean up for Haast School students at Jacksons Bay in South Westland. We picked up lots of fishing debris. 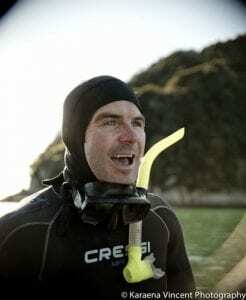 Twenty years later as a primary teacher living in Motueka I combined my skills as an educator and passion for the marine environment by bringing the Experiencing Marine Reserves Programme to the region. I worked as the Lead Coordinator for six years establishing the delivery of EMR programmes to schools and Guided Snorkel Days to the community. I now am in a more supportive role as “Ambassador” for EMR Nelson/Tasman and Trustee of Tasman Bay Guardians. Join us on on our Journey. Subscribe now for updates. Do you love the marine environment? You can help the bay by making a donation.